The catalysts required for change are in place. Now is the time. We’ve partnered with the industry to develop the world’s most capital-efficient Rates markets. CurveGlobal addresses the biggest challenge facing interest rate derivatives markets today. Capital. We’re innovating to help you trade, hedge and transfer risk more efficiently. We’ve broken down the antiquated ‘silo’ model to drive more efficient risk transfer, reduce costs and increase product innovation – shaping the future of derivatives. We’re offering market participants a new interest rate futures liquidity pool, cleared alongside SwapClear's OTC pool to generate capital efficiencies. Combining LSEG's listed derivatives markets expertise and robust technology with leading banks' interest rate expertise, CurveGlobal will develop and incubate new interest rate products to benefit the full breadth of market users. We provide more choice. Choice where you trade. Choice where you clear. With LCH's open access model we offer a strong commercial proposition, reducing the costs of trading. You’ll be able to trade the interest rate products with the tightest spreads and greatest liquidity from the eligible futures and OTC positions cleared in SwapClear. Establish a risk position with a CurveGlobal future, reduce that exposure with an “opposite” futures trade or an equivalent offsetting OTC product. With CurveGlobal there are no joining fees or market data charges. Just low cost trading fees, boosting competition. 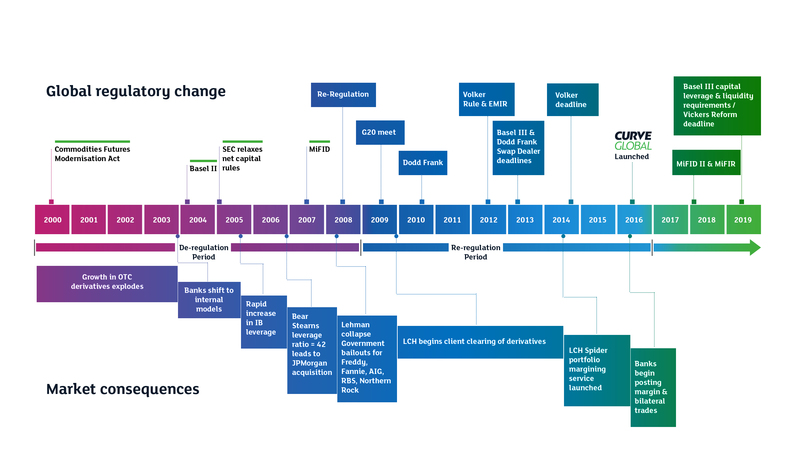 London Stock Exchange Plc's Derivatives Market has Recognised Investment Exchange status and enables broad customer participation under the highest regulatory standards. By breaking down antiquated barriers between OTC and listed products, we’re providing a gateway to efficient risk transfer, lower prices and increased product innovation. Together, we are creating the future of derivatives. We've combined the specialist knowledge of two world-class groups with the interest rate expertise of the following leading banks.